City and Colour, acclaimed singer, songwriter and performer Dallas Green, has launched a new label called Still Records, an imprint of Dine Alone Records. The first official release is a very special live City and Colour album, Guide Me Back Home, to be released digitally on October 5th with physical product available November 23rd. 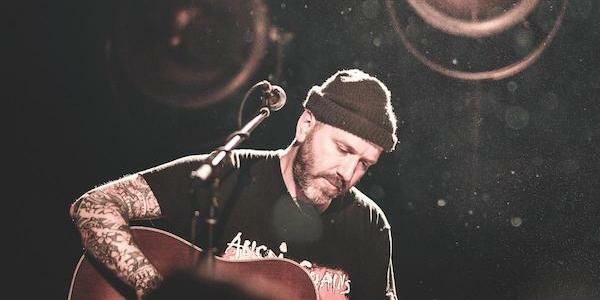 The album was recorded during 2017’s sold-out “An Evening with City and Colour – Solo” Canadian tour where Green performed serene, stripped-down iterations of songs spanning his award-winning catalogue in an intimate theatre environment. The tour covered 25 cities from coast-to-coast. Green worked with Plus1 to collect $1 from each ticket sold during the 2017 tour to benefit MusiCounts. In the same spirit, $1 from the sale of each Guide Me Back Home album worldwide will be donated to MusiCounts. Guide Me Back Home is a beautifully recorded and meticulously curated 21-song album, produced by long-time friend Karl Bareham. Green says, “It’s more than just a live record to me. It is my love letter to Canada.” Along with a digital release, a special 3xLP vinyl set will be available, housed in a triple gatefold jacket and featuring the photography of Vanessa Heins and a handwritten note from Dallas about this special tour. Fans will have the option to purchase the record in limited edition colour variants. The official artist store will feature a limited edition colour variant in Bone and Orange Swirl, limited to 1800 units, exclusive to the City and Colour webstore. Fans will be able to purchase newly designed merchandise created for the release. Two additional limited colour vinyl options will be available from Dine Alone Records and select retailers worldwide. A standard edition black will be widely available as well. Fans who pre-order the vinyl HERE will also receive a digital download as of October 5.